Probably not, as one expert recently told The Diplomat. 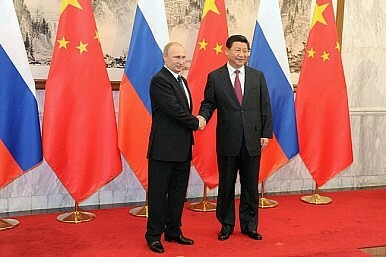 This month, China and Russia signed a memorandum stipulating that the two countries would not conduct cyberattacks against each other and that they also would jointly thwart technology that could potentially “destabilize the internal political and socio-economic atmosphere,” “disturb public order” or “interfere with the internal affairs of the state,” the Wall Street Journal reported. Additionally, Beijing and Moscow agreed on closer cooperation in combating cybercrime, and joint efforts to improve critical information infrastructure protection in both countries. According to one expert “perhaps 70 percent” of the language in the document has been directly taken from a previous agreement worked out under the auspices of the Shanghai Cooperation Organization. As I have written here, Western cyber-hegemony is perceived to constitute a real danger to the stability of Chinese society and more importantly a threat to one-party rule in the People’s Republic. For China — despite high profile and much publicized international cyber-espionage cases — domestic considerations in cyberspace are paramount. So, what to make of this agreement? This morning I had a quick conversation with Greg Austin, a fellow at the EastWest Institute and regular contributor to The Diplomat. Austin explained that the new agreement formalizes at a bilateral level an intensifying multilateral effort building off the proposal in the UN system for a code of conduct in cyberspace, submitted by both countries to the UN Secretary General back in January 2015 (Both countries first circulated an International Code of Conduct on Information Security already back in 2011). Furthermore, Austin pointed out that neither Russia nor China regard cyber espionage or preparations for war in cyberspace as “unlawful” or “unsanctioned.” On the plus side he thinks that this bilateral memorandum may put some pressure on other states to follow suit in the diplomacy of cyberspace cooperation. Is Russia More Powerful Than China in Cyberspace? Recent intrusions by Russian hackers indicate that Moscow's cyber espionage activities are expanding.